The main objective of the institute is to provide capacity building, undertake research and provide technical services to the line departments in order to improve agricultural production and socio-economic status of the people in North east. The mandate of the Institute is formulated with an overall goal of capacity building and skill enhancement of professionals working in various Government Departments like Irrigation/Water Resources, Agriculture, Horticulture, Soil & Water Conservation, Rural Development etc., Water Users Associations (WUAs), farmers and NGOs for efficient management of water and land resources of North Eastern Region of India . 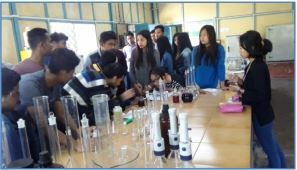 The Institute caters the requirements of all the eight states of North Eastern Region of India namely Arunachal Pradesh, Assam, Manipur, Meghalaya, Mizoram, Nagaland, Sikkim and Tripura. It has made commendable progress in imparting capacity building programmes like training, seminar, workshop, conferences in the NE region. To fill the gender gap, Institute also organizes programmes especially of women of the NE Region. It also conducts field researches in farmer’s fields as well as in its Research Farm. The Institute also provides technical back-up services by undertaking projects, experiments and offers consultancy services etc. in various aspects of water resource management, efficient water use in irrigation management, agricultural and horticultural development, soil and water conservation and sociological parameters etc. NERIWALM also envisages fulfilling the goals of National Water Mission through its various activities.